Dripping colors from his mouth. To the province of Excess. I had to meet this fellow. He was probably a souse. Come rapping on his door. Like the cloister of a saint. The threshold of the sane. Of his dripping oil presents. Was my Vincent to be found. As she offered me a cup. Then I thought it’d never end . . . But with the wisdom of a sage. Much kindlier than most men. I was blessed in Vincentland. In the way he caught a star. Armed with easels and his muse. In a champion’s Champaign bath. The Gods’ hands upon the reigns. Of a tiny ship a’lobbing. Just broaching his flaming hearth. There was Vincent! Brush in hand! That I was even there. I felt my body fly. Heaven’s alive in you know what I mean. It’s in the eyes of every being. But I never did come back from that trip that I was on. 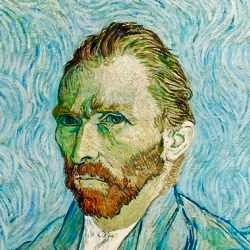 Through Vincent’s eyes I’ve seen what he’s seen. In Vincent’s world I’ve lived my life. 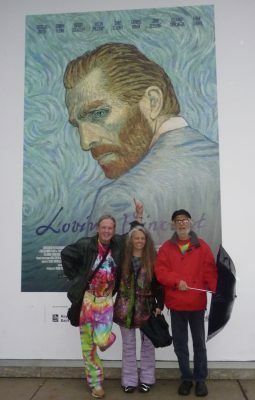 Here’s a piece about the excellent Loving Vincent movie. Here’s a real-life Adventure Poem about the Dalai Lama in Central Park. Thank you for sharing this lively and colorful piece, nice work Brian. It is really a fun poem to read. Fantastic! What a trip. I remember you doing this with David at the Living Room and some other places back in the day. Thanks for the memory.